A common problem that accident victims can face is the issue of pre-existing injuries and how it can greatly affect the outcome of an accident claim. If the injuries caused by the accident are similar you can expect the insurance company to use the pre-existing condition to reduce the value of the settlement. Even though pre-existing injuries can make make matters more complicated, an experienced Florida personal injury attorney can help. What is Considered to Be a Pre-Existing Condition? A pre-existing condition is defined as any injury, illness or other physical or mental condition for which the victim had already received medical care or advice prior to the accident. It is imperative your attorney knows the severity of any pre-existing condition in order to assess its impact on your current injury. In general, in order to have a claim which can be successfully settled you must have suffered an entirely new injury or a substantial worsening of any pre-existing injury. What is the Eggshell Plaintiff Rule in Florida? The “eggshell” or “thin-skull” rule states that the negligent party can be held accountable for the injuries they caused no matter how fragile the victim was before the accident occurred. This is important because it recognizes that not all accident victims will sustain the same injuries and therefore the at-fault party should be held responsible for all damages they caused. Many people suffer from neck and back problems from a previous car accident or chronic conditions like arthritis or degenerative disc disease. People who have suffered a concussion in the past are at a much higher risk that another concussion will cause greater harm. For example, someone who has hit their head in a bicycle crash which results in a concussion may have a worse outcome if it is not their first concussion. If someone was already limited by a prior fracture, the result of a fracture to the same, or even another bone, could have serious effect on their quality of life. And, for older people that have osteoporosis it’s not uncommon that a serious fall could result in a fractured hip or other broken bones. 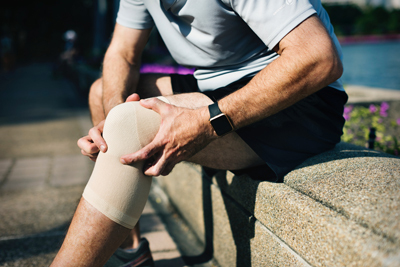 Regardless of your current injury, you can be sure the insurance company will make every effort to prove that your injuries existed before the accident. The insurance company’s goal is to pay as little as possible. They will do their best to minimize the amount of compensation you deserve. Just because you have a pre-existing condition doesn’t excuse the at-fault party from financial responsibility. All of the doctors that you saw after your accident will play a crucial role in providing information to your attorney on how and to what degree your injuries were aggravated. Medical records are very important in any personal injury case but they are even more important when prior injuries exist. An experienced attorney will know what records, medical tests, and reports to use. They might even get witness testimony from expert medical professionals to prove your claim. Being honest with your attorney about all of your pre-existing medical conditions is imperative in receiving a fair compensation. Just because you have a pre-existing injury, don’t let the insurance adjuster convince you that you don’t have a claim. If the accident worsened your injury or caused new injuries than you are entitled to compensation. Jim Dodson has been helping Florida accident victims for over 25 years. Call our office directly at 727-446-0840 or schedule a free, no-obligation consultation online. We are always here to help.